German ebook distributor Libreka partners with Rakuten OverDrive opens a new partnership, as Germany’s Bookwire expands internationally and wins a Digital Publishing Award. In a new partnership announced for public libraries in Germany, Austria, and Switzerland, the German digital book distribution service Libreka is partnering with Rakuten OverDrive. The service, working in both ebooks and digital audiobooks, is meant to leverage Libreka’s representation of what it reports is more than 40,000 publishers and more than 1,000 domestic and international trading partners. The effect of the announced partnership is that OverDrive’s audiobook and ebook catalogue would be available to public library systems in Germany, Austria, and Switzerland via Libreka. According to the companies’ media messaging, OverDrive’s partnership with Libreka “offers many advantages for public libraries and publishers in the DACH region,” referring to Germany, Austria, and German-language Switzerland. Established in 2006, Libreka brings to the table a knowledge of the DACH region’s ebook industry “which will enable it to deliver quality service for OverDrive’s library customers. “Libreka’s experience with publishers and deep knowledge of German-language content will also serve customers well,” according to a company statement. In a prepared comment, Libreka’s chief operating officer Balázs Csonka is quoted, saying, “The first feedback from the libraries is excellent. With OverDrive offices in the United States, Canada, the UK, and China, and with its partners—Libreka among them—in various parts of the world, OverDrive reportedly now serves libraries and schools in 76 countries. 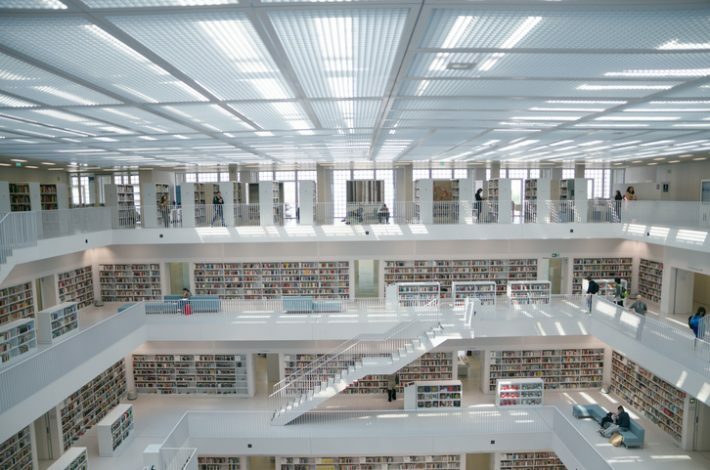 In Germany, the library market to date has been dominated by the Onleihe/DiViBib, and Libreka can assist OverDrive in bringing more libraries into its system. Publishing Perspectives reached out to Jens Klingelhöfer, chief of Bookwire, the Germany-based international distributor of ebooks that has particular penetration into the Spanish and Latin American markets, to ask how he sees the Libreka-OverDrive partnership. “With this initiative from Overdrive,” Klingelhöfer says, “the digital library market in Germany gets more competitive. One of Bookwire’s own recent successes is its win of Germany’s new Digital Publishing Award in the category of a product and business model in the B2B sector. The offer, which Bookwire calls “WAY,” is intended to enable small and medium-sized publishers to benefit from the growing audiobook market. “WAY” stands for “We Audiobook You,” and in choosing it for the award, the Digital Publishing Award jury wrote, “Digital service provider Bookwire provides publishers with a selection of audio samples from three different price categories via Soundcloud. If the publisher has opted for a speaker, Bookwire calculates a fixed price for the production title for the publisher’s title as well as the speaker. More about the Bookwire WAY program from the Digital Publishing Award program is in the video below, which is narrated in German. More from Publishing Perspectives on Rakuten OverDrive is here and on Bookwire is here. More from us on libraries is here.